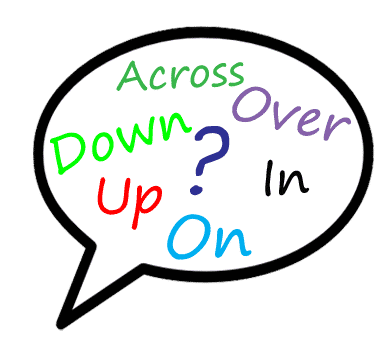 We can use the English phrasal verb ‘Catch Up’ in several different ways including when we want to talk about exchanging information to stay current with recent events. Look at some of our examples we have made for you to practice and understand the right way it is used in English speaking. I’m meeting Mona to catch up because I haven’t seen her for a couple months. I’m meeting Mona to talk about what’s new with her because I haven’t seen her for a couple of months. Every morning we read the newspaper to stay caught up with the news. Every morning we read the newspaper so we can be current with recent events. 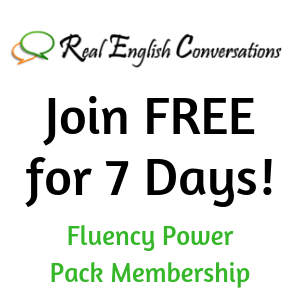 Join conversation practice sessions with a native speaker. Learn more about the joining us FREE for 7 days here. Hear some other lessons from our podcast. Examples and audio to help you understand each one. Lessons to Help You Speak Confidently, Understand Native Speakers and Get You on the Path to Fluency! Get these Phrasal Verb Lessons to Try! Subscribe: Android | Email | Google Podcasts | RSS | Subscribe to the Podcast Here!